Glasunderlägg i vintage stil med korkbotten. Set om 4 st olika med texter "The HOUSE was clean yesterday. Sorry you missed it. 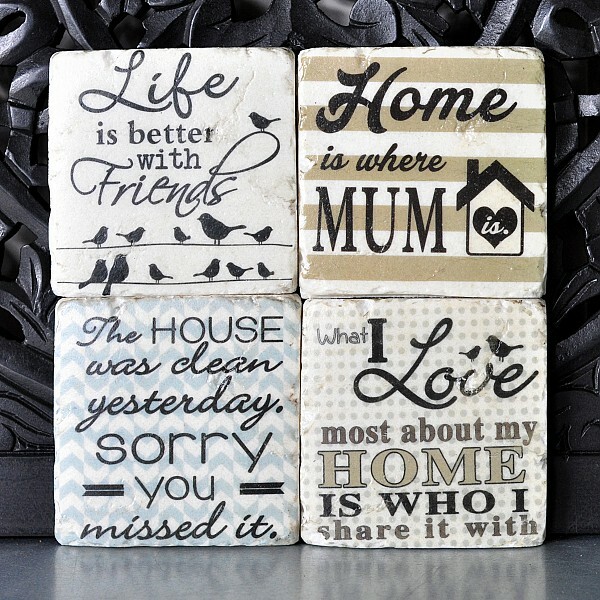 ", "What I Love most about my HOME IS WHO I share it with", "Life is better with Friends" och "Home is where MUM is. ".